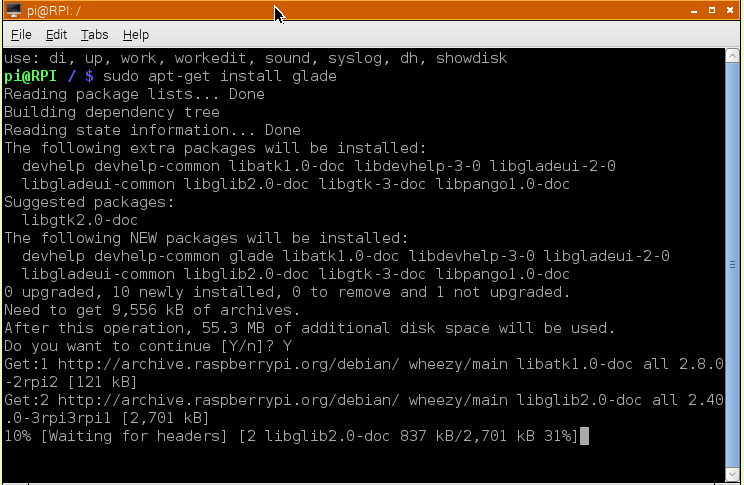 while i play vkeybd i see that it exists as a executable in /usr/bin/ and as a TCL vkeybd.tcl in /usr/share/vkeybd, digging what that TCL means, i learn that it is a command language / programming language. 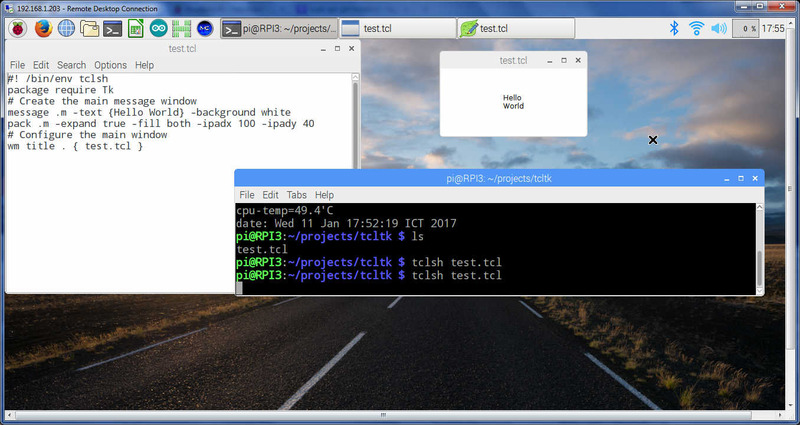 on RPI TCL with TK rev 8.5 is installed, ( i find >130 .tcl files in the system ), looks like its a common linux language with TK GUI, but there is this thing with the prof. programmers, for them all other languages, except the one they use, is bad. 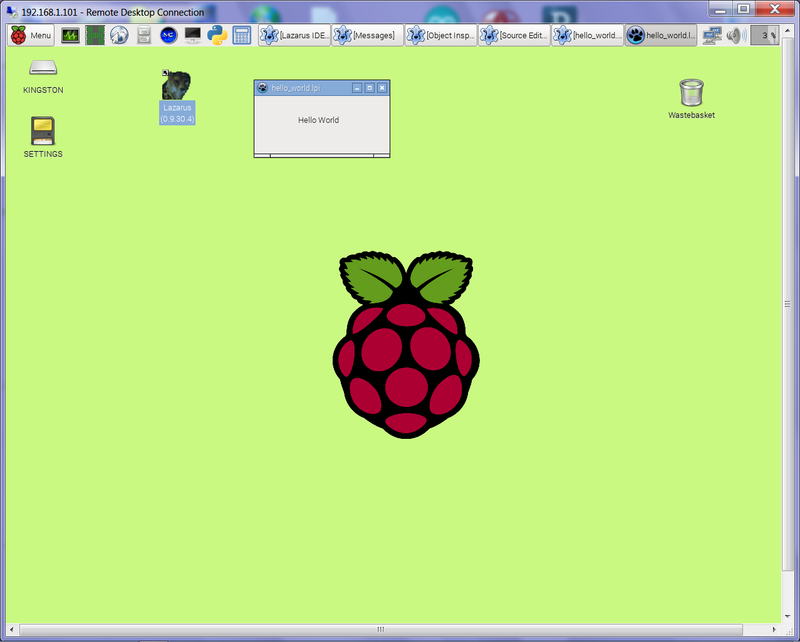 as a linux beginner i am OPEN, but i ( and i see that question in the forum too ) want learn the full GUI way, means make a program what opens a window on the RPI desktop with keyboard and mouse operation, AND want be able to start it from the System MENU or desktop ICON. i was interested and did try it too. it is a terminal / command line thing only, so GUI would be still some way. but why i say it was a bad tip? RPI is designed / promoted as a learning system for programming, so if someone buy it and want learn (GUI) programming, there must be easy tutorial to use any of the already installed languages. 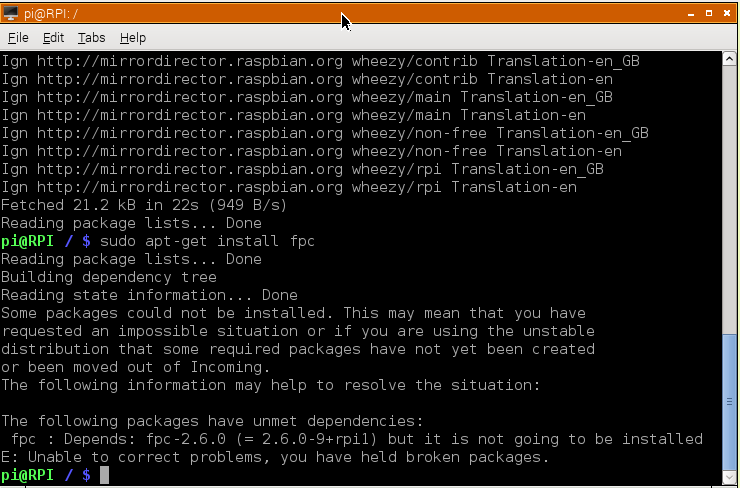 if that is not possible, you must question the raspberry pi foundation system concept. 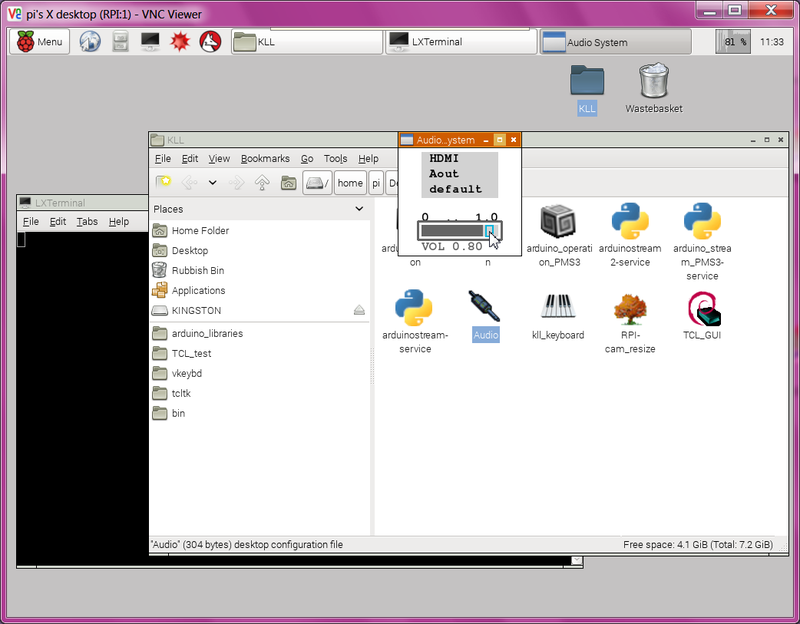 here now the python GUI basics, now already included the pygtk version example also in the ZIP file with all examples. 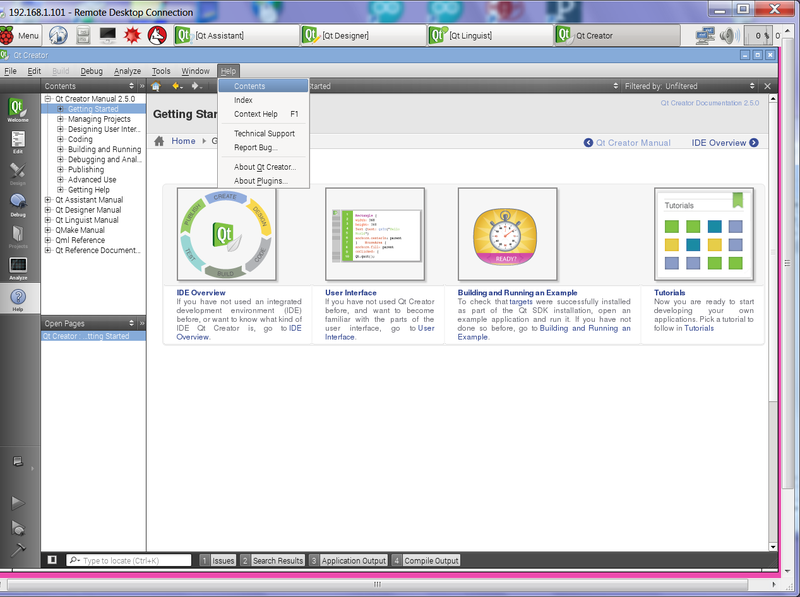 what opens a window on desktop ( i call it a GUI program ) we should also work there! 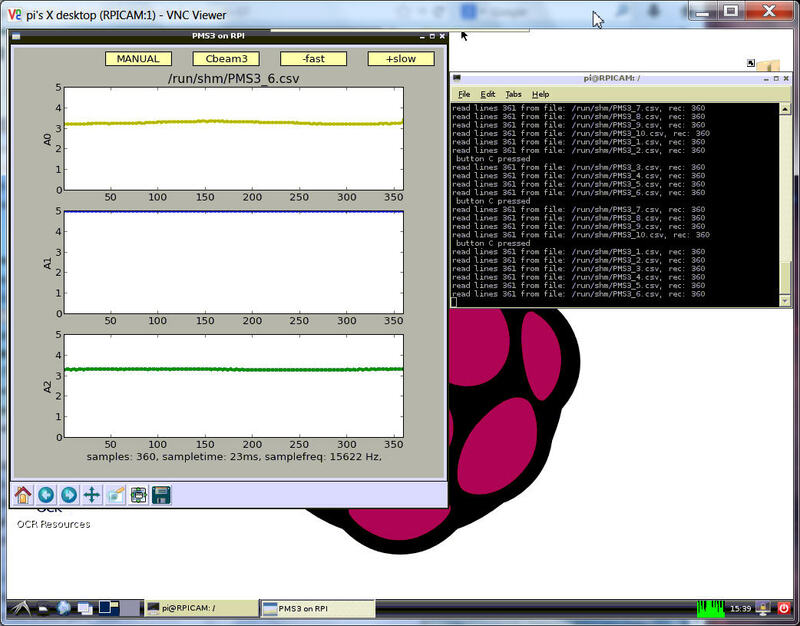 in that window see the >>> prompt / interactive mode / rarely used, but very good for special checks. but, what the hell, you could just save it at /home/pi/Desktop/..
if you are in the edit window use menu run / run module / ( or F5 ) must ok save first! 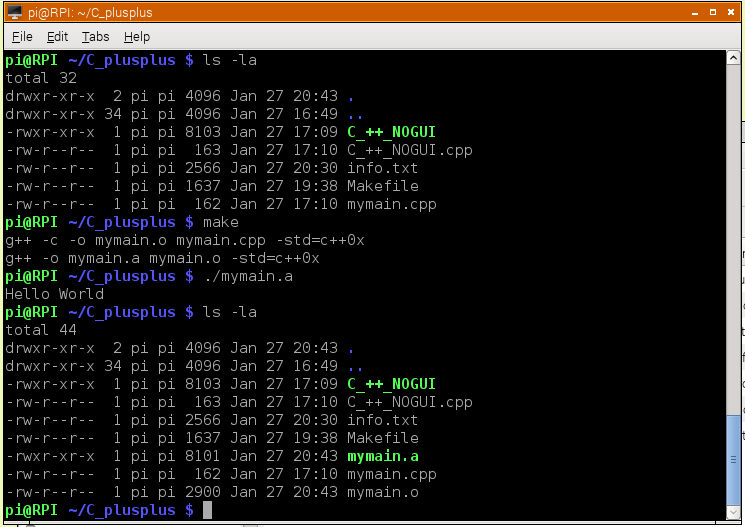 python /home/pi/Desktop/myfirstpythonprogram.py what will use default python 2.
there is a special thing if you want to use some RPI hardware like the GPIO pins from programming, you need root priv. 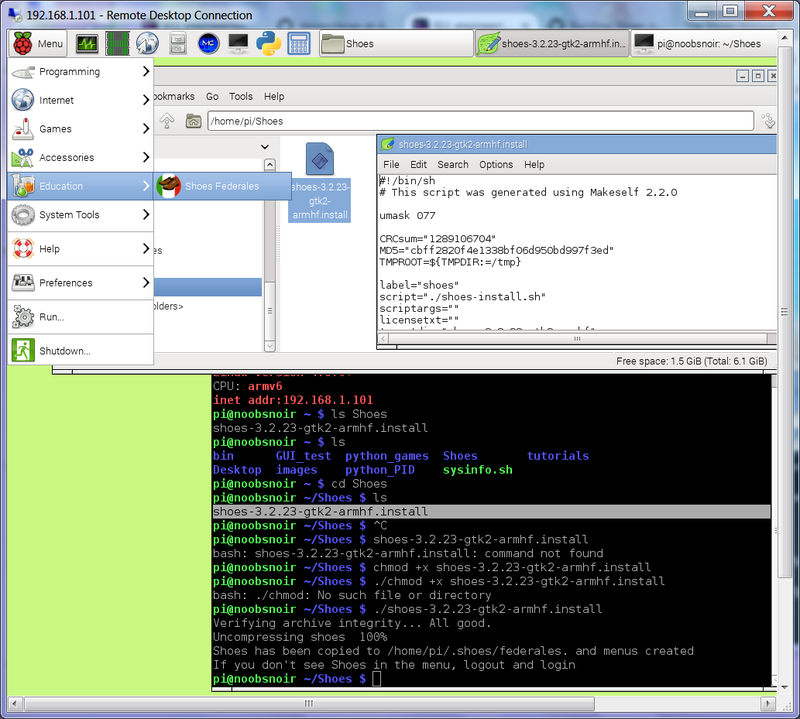 sudo idle from a terminal in desktop, and the python shell window comes up in admin mode. 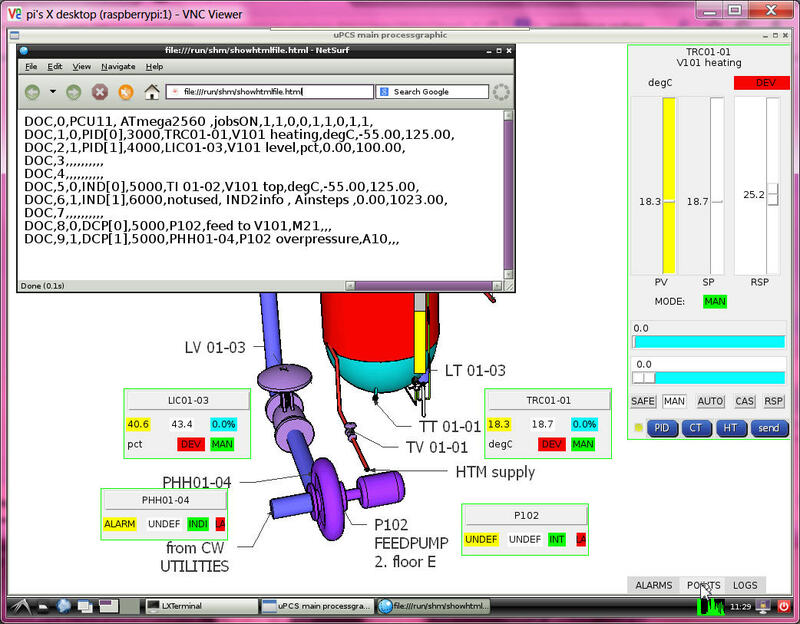 see above example snap from a PID control...process control system i made. 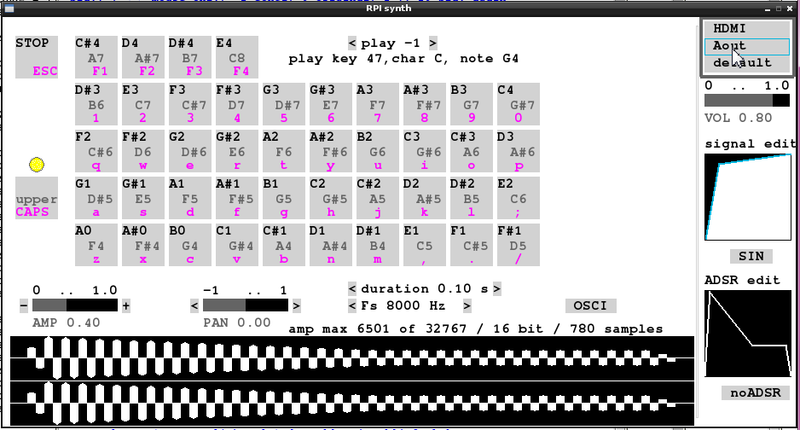 2a.b later i see that actually with some easy code in pygame i could make my own ( and with that more flexible ) slider. 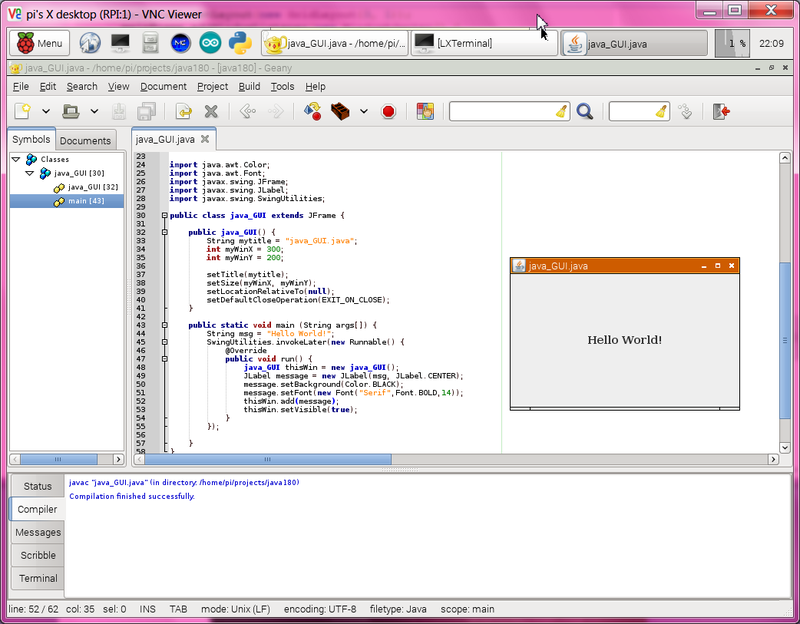 some, who anyway are interested in game programming will start there, others say "i never will do games"
but it worked anyhow for the small hello world example window. 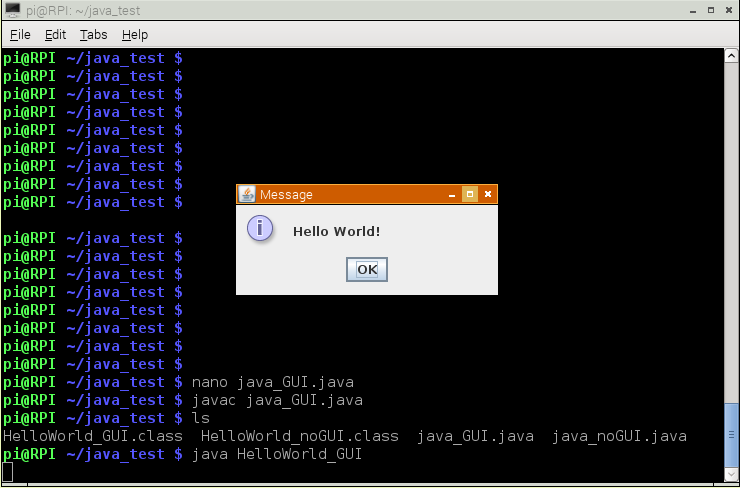 i want test more GUI programming tools. # so-called "MainWidget", it does not have a parent. # ... and that it should be shown. # Now we can start it. ok, now python3 runs this example too. 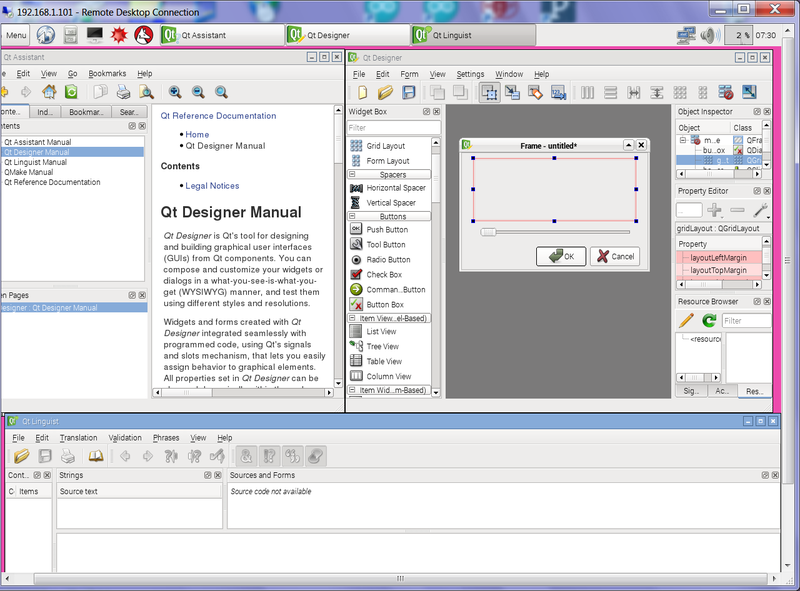 also how to combine it with the QT4 designer? 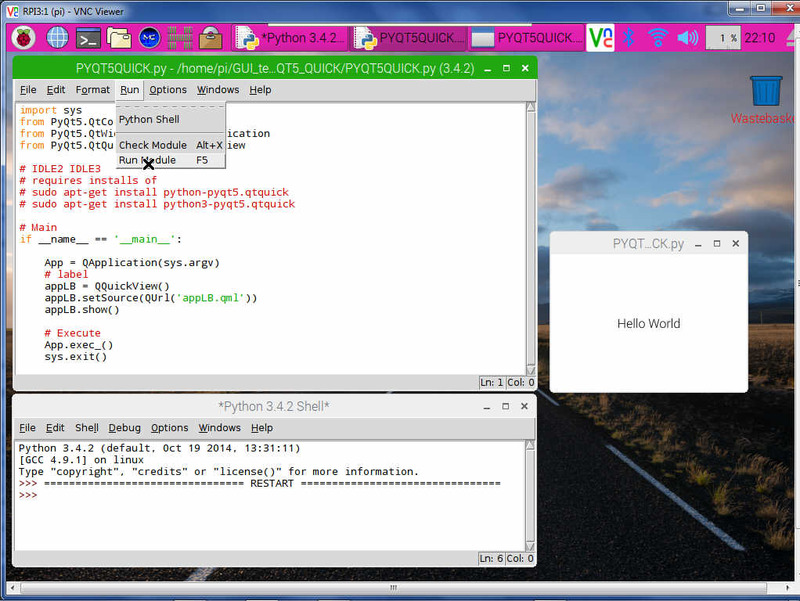 sudo apt-get install python3-pyside ( 90MB more ) and see no new desktop menu entry?? so i decided to give it an other try. in forum... i got the idea that Qt5 is in repository so i ignore all the old info pages about building it on RPI, one info say it needs 2 days. 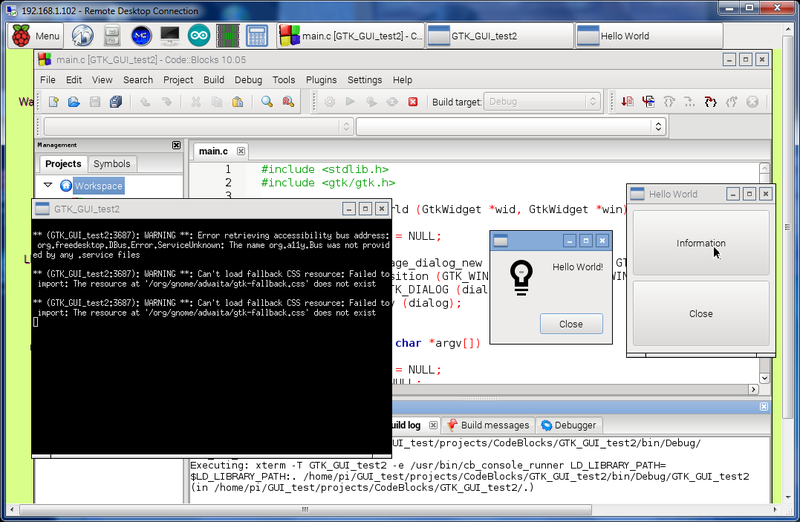 qtcreator -noload Welcome gives despite error msgs a IDE window. but the help system not work good, local doc missing ( like examples ) and also links to QT homepage ( like tutorials ) end at 404 error. 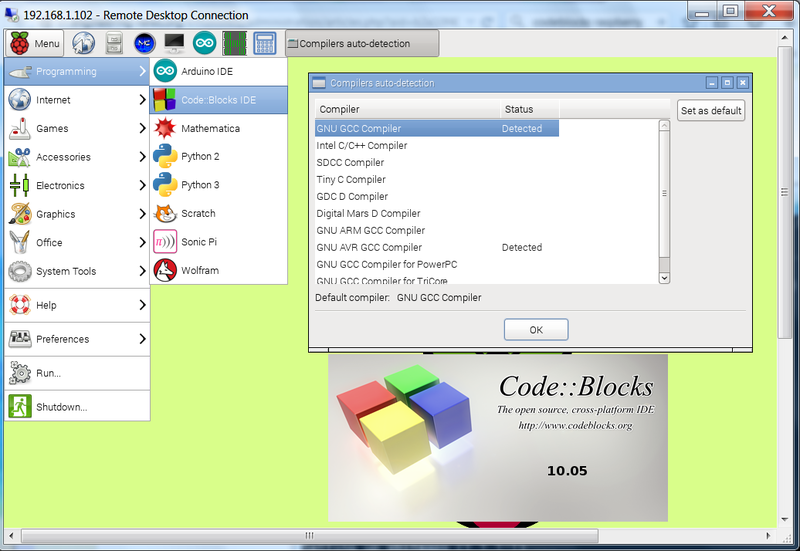 to run example files / or start your own first program qt creator misses compiler! lets get started to dig how to use it. also the demos are gone. 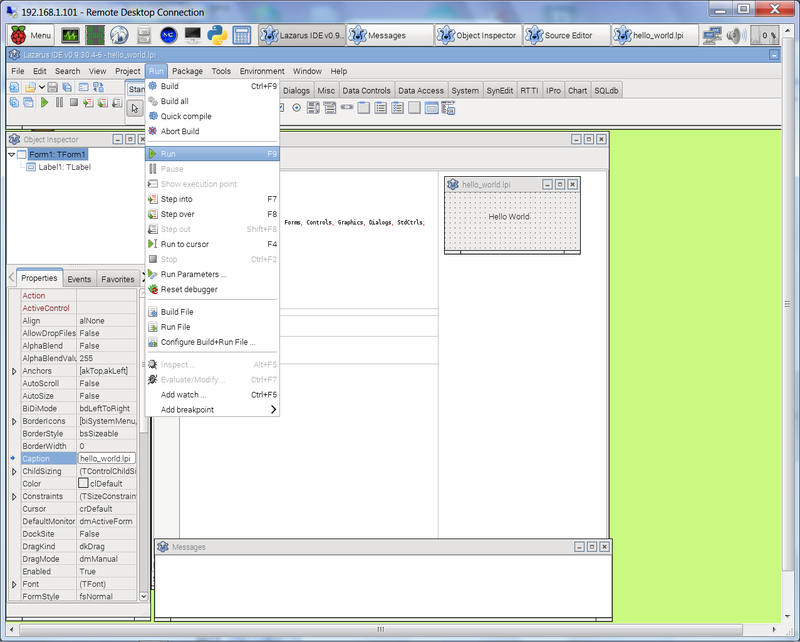 this GUI start also by the included .desktop file. -+- so from the documentation that .EXE file should run on a windows PC, but when i try it did NOT. but my desktop PC is very old. and also C++, i never learned / used it, in a downloaded project for the RPI camera i remember i did a "make" one time ( and it worked ), without knowing what i am doing. #include <"iostream"> // do not use the "
#Set all your object files (the object files of all the .c files in your project, e.g. #Set any dependant header files so that if they are edited they cause a complete re-compile (e.g. #Any special libraries you are using in your project (e.g. #Set any compiler flags you want to use (e.g. only. without the TAB ( even with spaces ) it should not work! but i don't like it as in desktop / filemanager its associated as "AR archive" i think will use ".app"
libgtk-3-0-dev and libgtk-3-0-doc not, so i follow that manual. and with a example from here it runs, this one here not. and i wasted some hours to try to make the two texts ( program name and message text ) as string variables, like i did in the other examples. 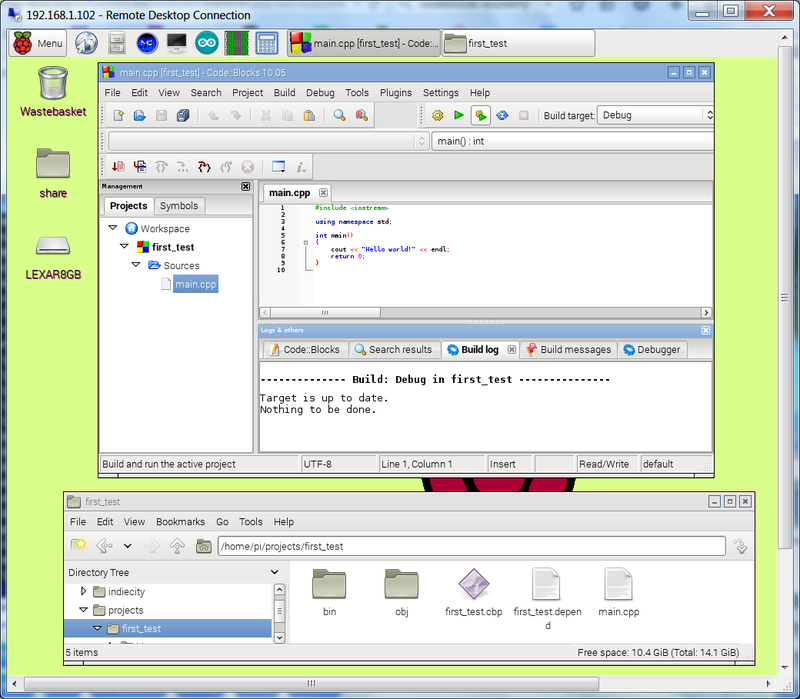 what i got is same as to type make in the terminal..
Ahmm, by the way, that IDE supports some languages..
for some next steps with coding C++ see this C Tutorial: Learn C in 20 Minutes. 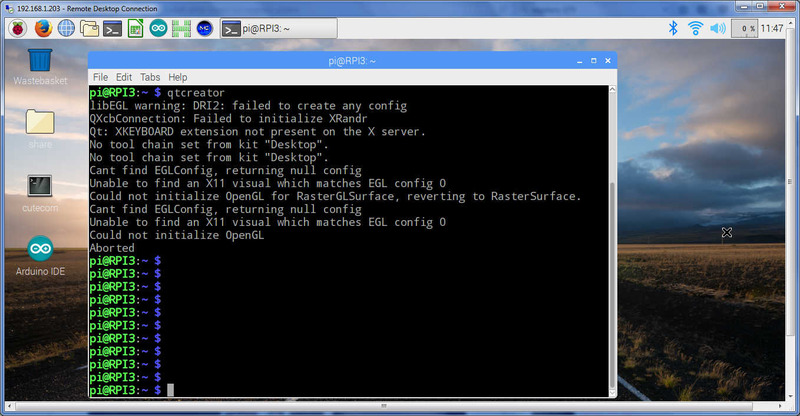 build run [F9] : error with # include gtk/gtk.h fatal error file missing. ok, now i get 45 error and 5 warnings ( should that be a progress? ) all about undefined reference, starting with the dialog line. /usr/share/qt4 but still get error "can't locate library directory / this wizard can not continue"
well yes, there is no library folder there?? what is the QT SDK?? no, still looks like code:blocks with QT4 is a little bit more difficult. when i read that some pros. argue how bad python and how good perl is in RPI forum, i wanted to take a look on that too. 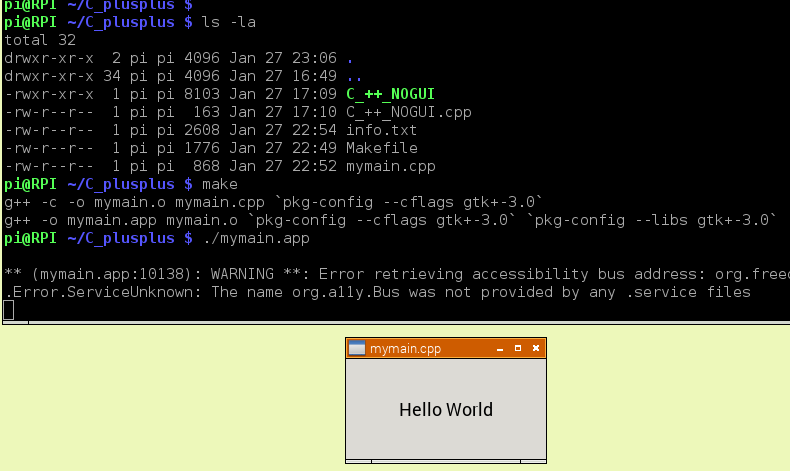 so its difficult to say, but it looks like perl is installed with GTK2 already, so i start here. 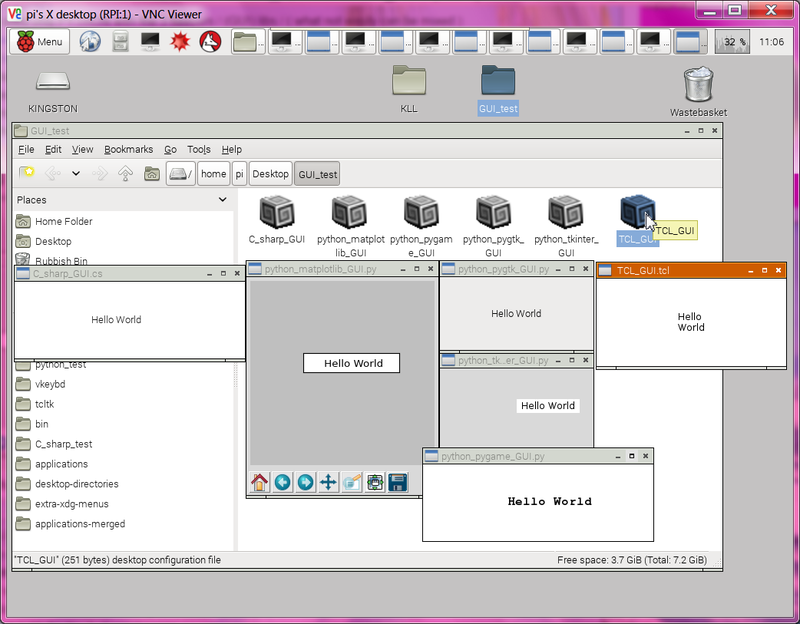 ok, i was wrong, using a old SD card it "can't locate Gtk2.pm"
i start to dig about easy "Hello World" beginner examples. // The classic Hello World program! i try to use it for a step further into java. i think i am lucky the install was refused. i will try again, on a new or older system. sudo apt-get install lazarus not used. i do according this, not sure i need it. 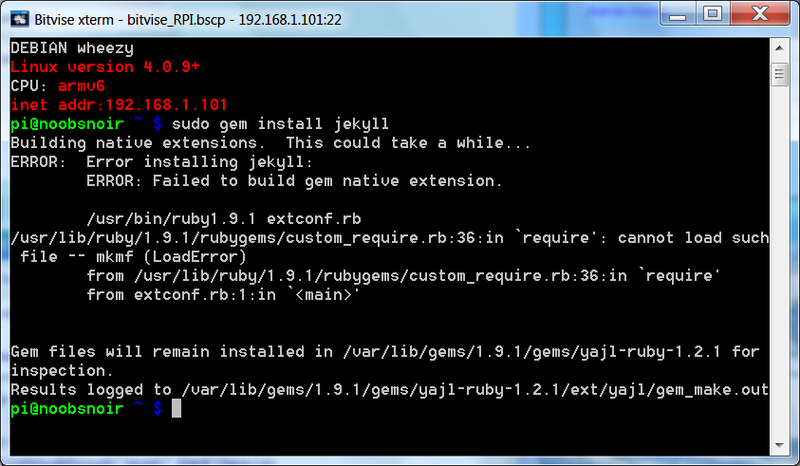 sudo apt-get install nodejs actually a java runtime is available? rails g scaffold people name:string group:string again get that create list?? rails s get the list again Grrrr! no info at all what it is and how to use it?? after some search i found: Jekyll is a simple, blog aware, static site generator. 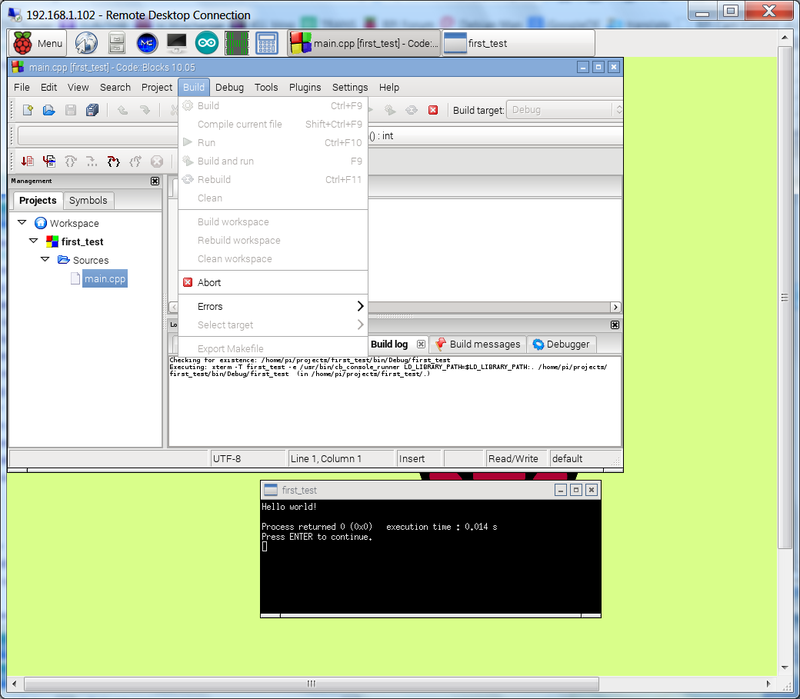 and at test again complain sqlite3?? installing lots of documentation and i notice i not know how i call up documentation in linux? 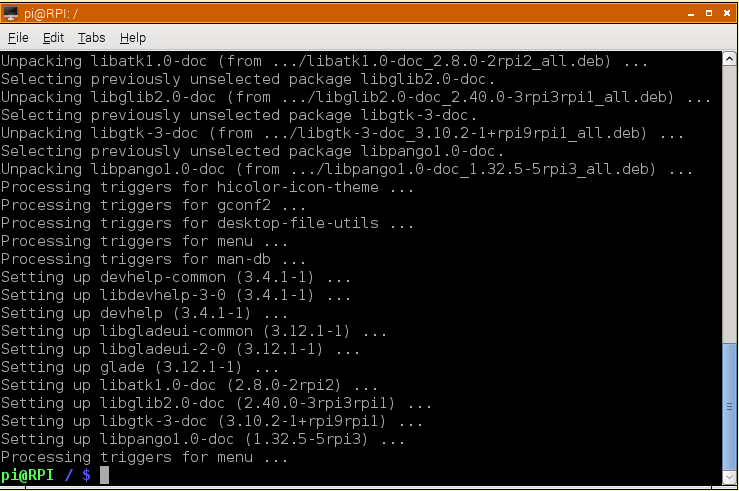 is there a general help system, or is it only the command line thing "command --help" and "man command" ? one of the many black holes in my not linux brain. but, as the online documentation is not that easy to access by RPI's slow browser, ( i only use the PC for this ) it would be good to know. long long way,but today is a better day! 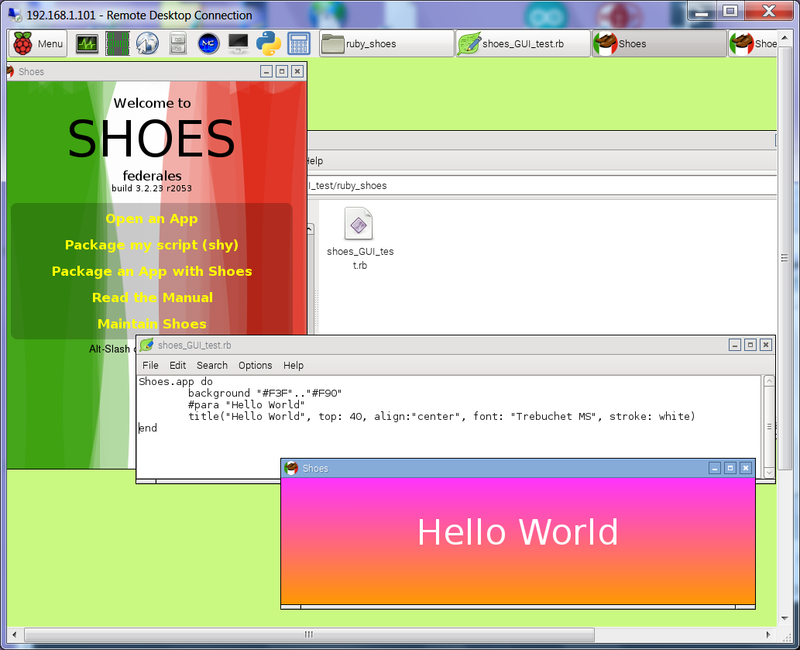 the download page give me a 13.6MB shoes-3.2.23-gtk2-armhf.install , no idea what to do with it! 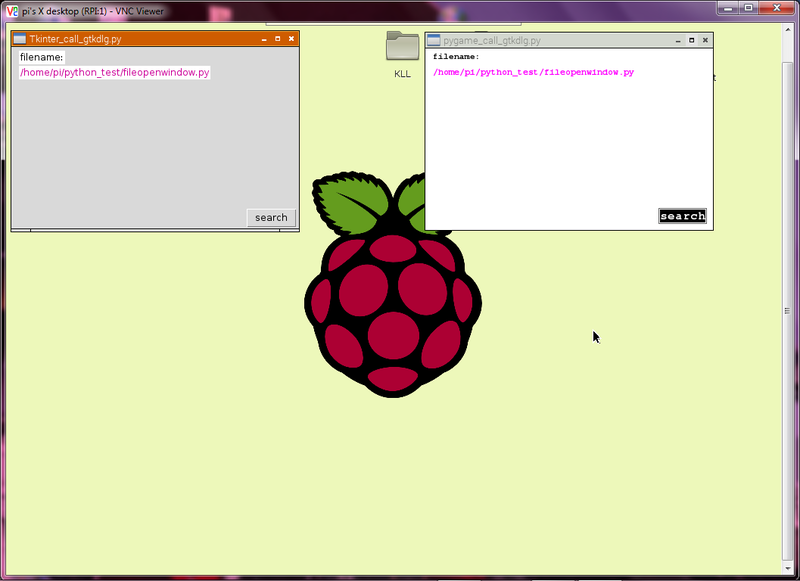 mkdir /home/pi/Shoes/ and copy that install file from PC, just a try! 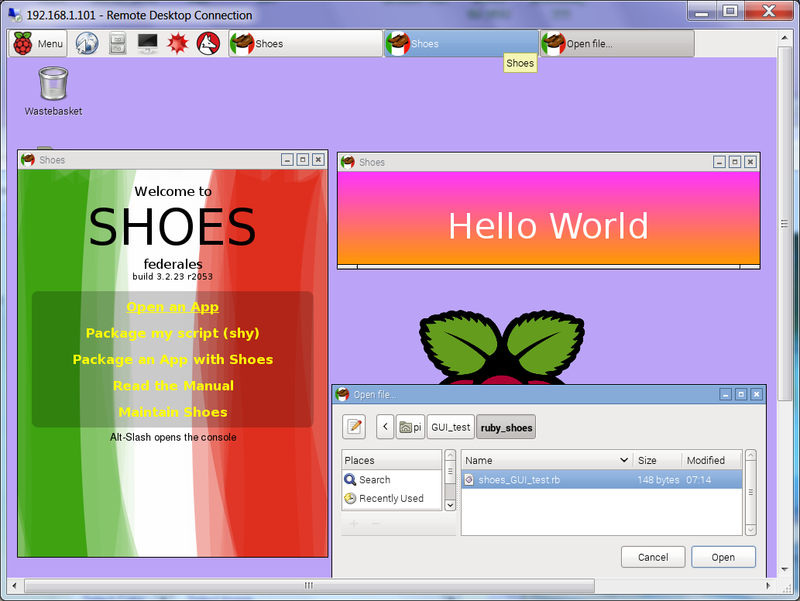 well the shoes thing was fun, the ruby rails version thing not, i zip my GUI_test pack and upload to here so its available to you. the SD was anyhow nearly full?? Connecting to shoes.mvmanila.com (shoes.mvmanila.com)|208.113.218.222|:443... connected. he recommends that i included it here and link to his manuals. at first i had some bad time exactly about googling, you try and find ICON in google, very funny. what i have until now: german international forum intro, first 6 pages of that 500 manual, update from a forum thread and the official ICON homepage and wiki books and the Introduction. for a first start i fly over the Language reference and from there directly to the GUI book page 83.
that has its logic but if you are used to think in  .. length(array) UMPF. 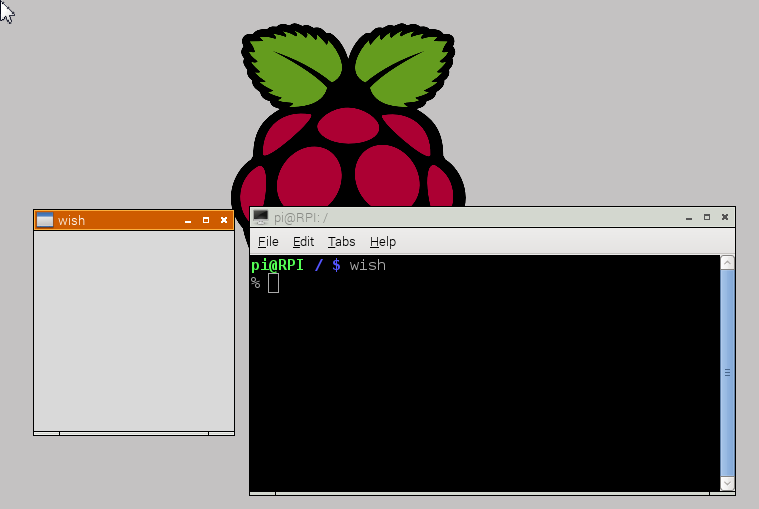 nano /home/pi/.bashrc echo "add PATH to Icon"
there are no new desktop menu icons..., its just a compiler. then i move the hello* out of /bin/ to my home/pi/GUI_test/icon_test/ and icont, iconx runs here well too. but that not say that the build would run same, but not tested. but operation AND coding operation should be easy! but lets face it, modular thinking and object oriented programming was last millennium , now we do APPs. 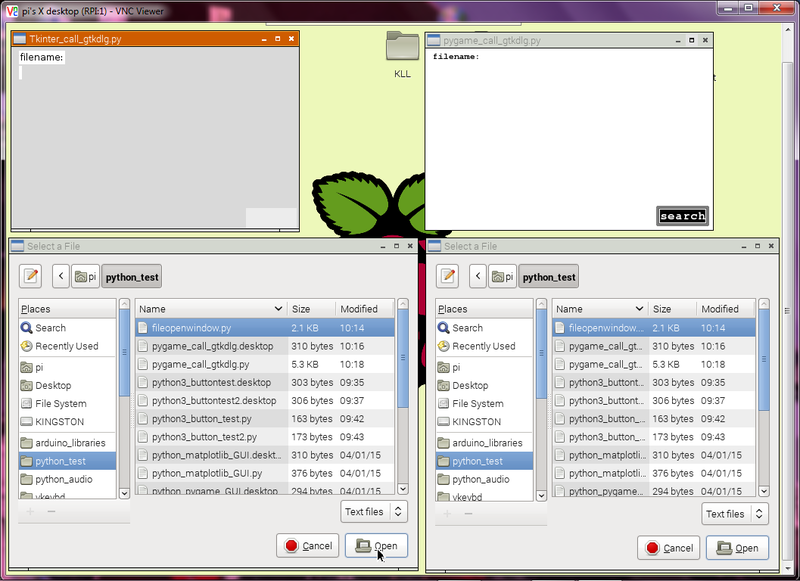 the Tkinter one looks like the python IDLE file open, the gtk looks like the PCManFM file explorer. 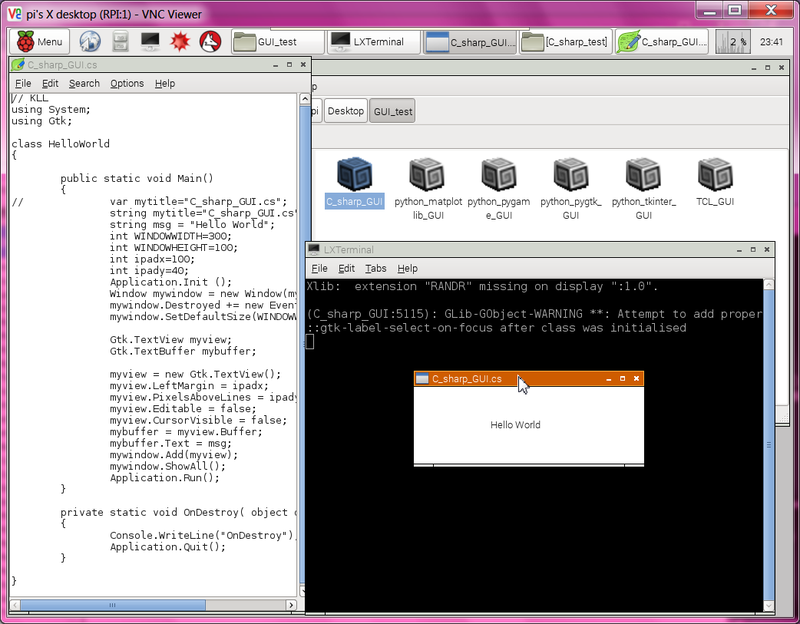 but the gtk call from inside pygame i got opened ( and file selected) but could not close it. some command / or program structure missing. with the idea to do 2 separate programs, what can communicate by a RAM DISK File. 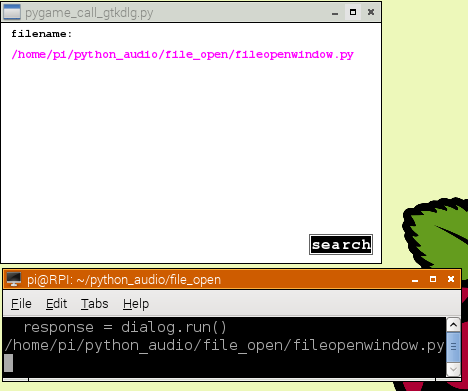 "python fileopenwindow.py" a stand alone program, and after finished ( by window closed, cancel button, or any file select double click or open button ) the info can be fetched from the RAM DISK file. ( gtk file dialog pop up window ) and writes the result ( !open / you should never see because with subprocess main waits/, !error, !close, !cancel, /path/filename ). later a user will not know the difference / what GUI was used / and as we have a manual / mouse interaction there can not be any time delay questions for using a intermediate file. but catching it from that 50 lines of warnings is bad stuff. 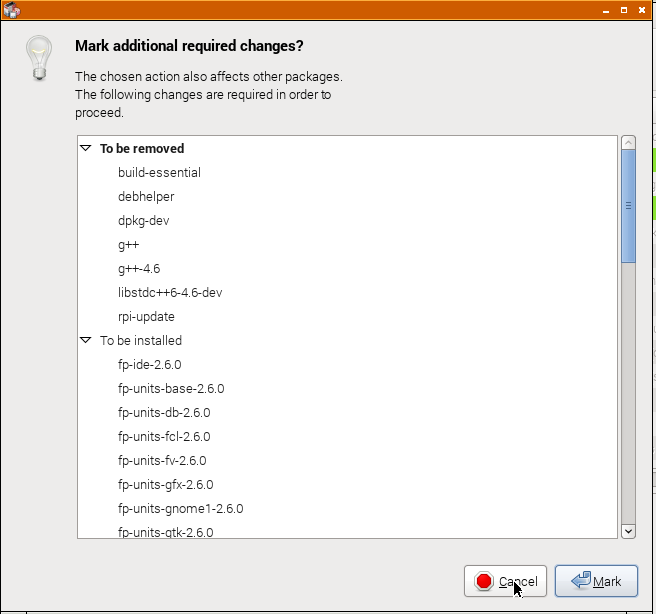 for me the add Tkinter example was only a hour, just to show you are free to choose the ready dialog. 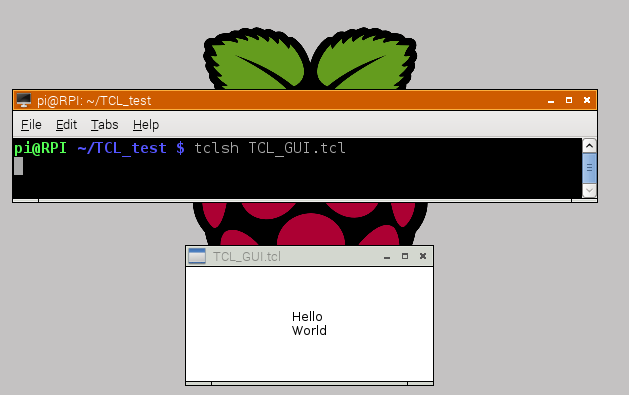 Actually as for the first GUI test i used also C# mono ( but that has gtk lib ) and TCL ( possibly use Tk ) more testing is possible. 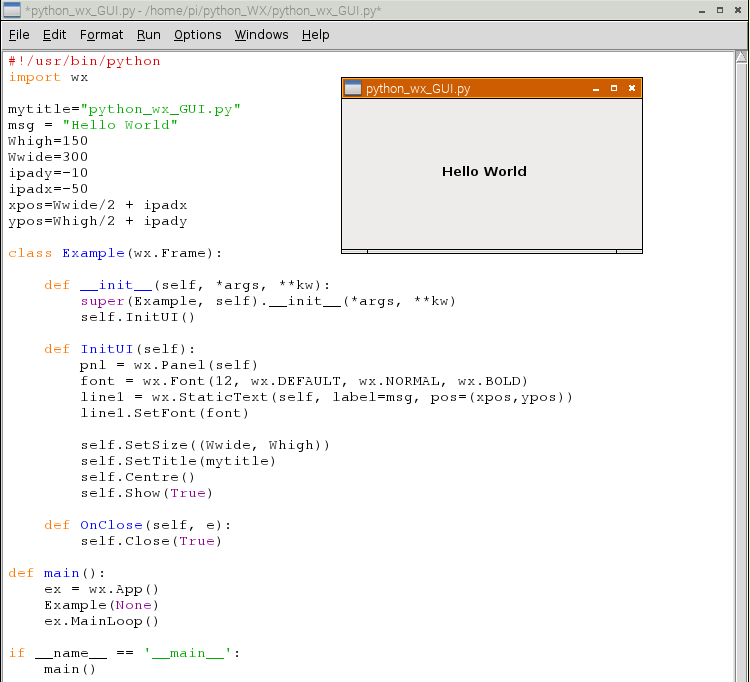 it is ready to start right away using python ( Tkinter, GTK, PyGame ) for learning GUI programming. 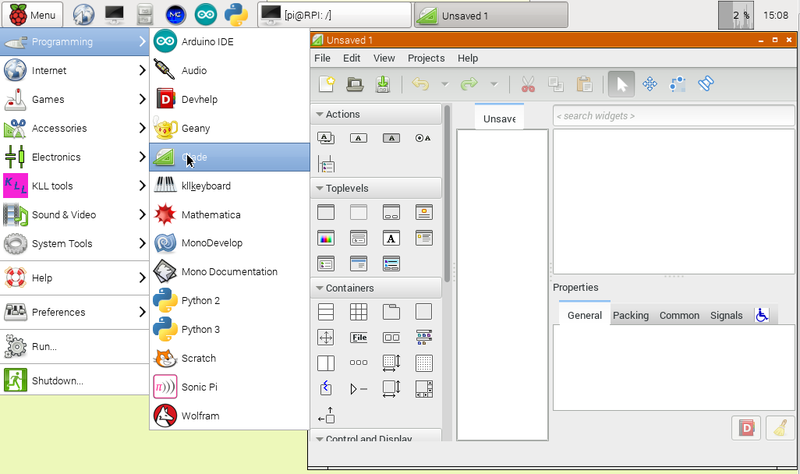 but for making GUI programs there is a "upper" level, a GUI design tool. 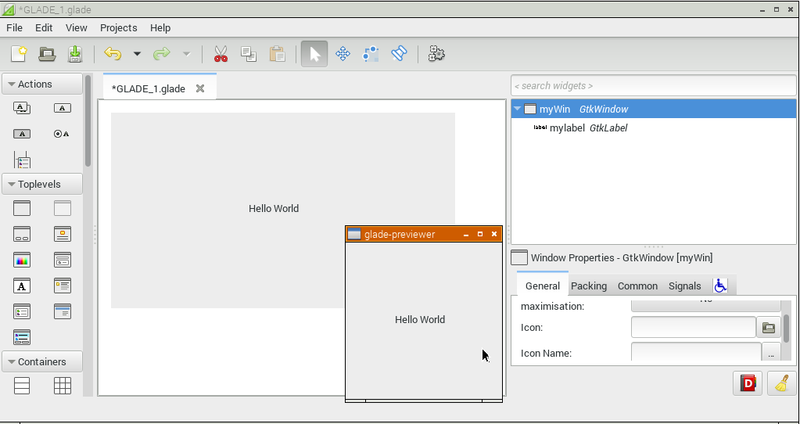 its all about windows, actions, widgets and their attributes, for the GTK ONLY. 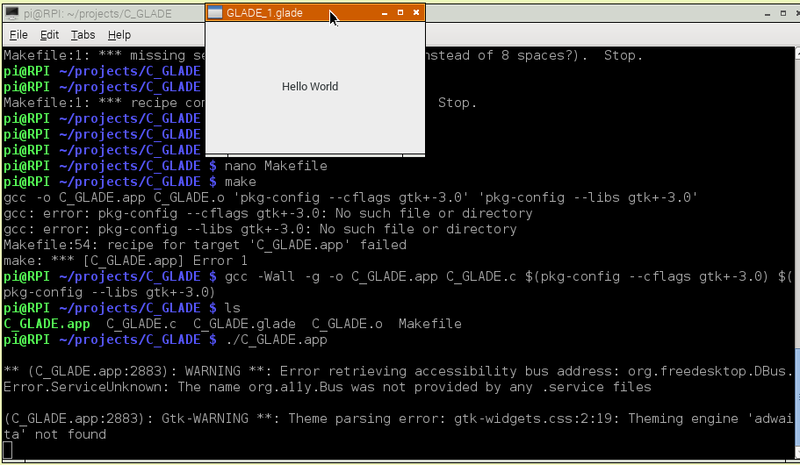 i try my window with a label "Hello World" and saved as *.glade ??? now what? here i see a easy "second" step. and keeps all file settings. also recheck all desktop files regarding subdir.